Andrew Lockton 1 day, 8 hours ago. My standard Word work window has the Navigation & Style panes open on each side of the main content section. Maybe 2 months ago, the panes changed size to larger than before and changing them to my preferred sizes didn’t stick—I tried Shift-click closing and changing the pane sizes in my template. Is there some way to make my preferred sizes stick, like they’ve done for years? Please see this blogpost about posting code. Use the [ pre ] and [ /pre ] tags to prevent problems with posting. …and no change in either pane’s behavior. I searched on “Subscript out of range”, but got nothing for Word—and only dodgy sites for Excel. Fyi I pasted your code into my 2 Auto macros, immediately before End Sub. This site converts the straight ” into smart “. Try retyping the double quotes either side of Navigation and make sure they become straight. Excellent Anon, that worked, thank you! 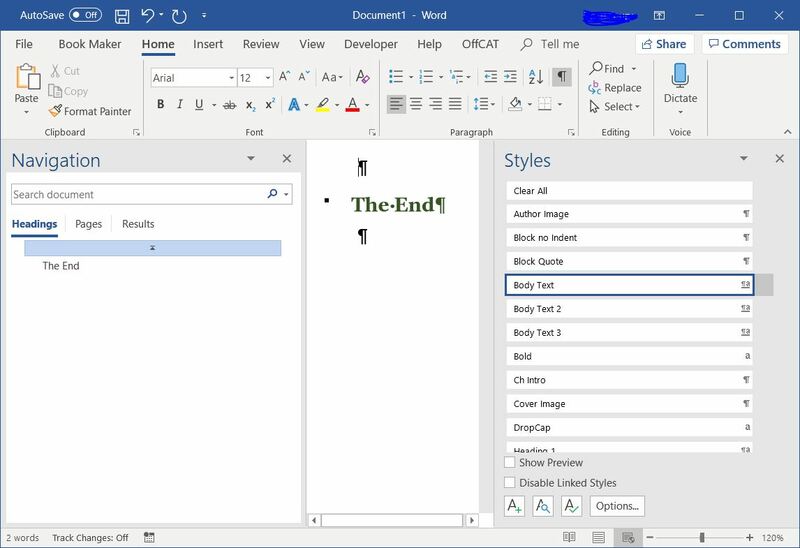 Put the above in the AutoOpen & AutoNew subs of your template if you want this every time—I have mine in the Normal template, since I want this setup for all Word docs. I you don’t want it every time, I assume putting the code in its own Sub will give you the option on demand. You might want to attach it to a custom button in the ribbon. Alternatively, put it in a custom template, rather than Normal. Your welcome. Good to see you got it working. If you were going to be putting this into its own sub, I would make it a toggler to show/hide the panes by doing the following. Note that this would be a bad idea in the Auto macros.